And in California, police can enter your house without a warrant if they suspect a drunk driver is inside. Congress will decide whether to force the states through blatant extortion to pass laws mandating seatbelt interlocks for all first time DUI arrestees regardless of their BAC level. The device disables the car if the driver's breath has a minimal hint of alcohol. If you agree that interlocks should only be mandatory for drivers who exhibit actual impairment--those whose BAC readings are above .12 or who are repeat offenders, OR if you just believe in the 10th Amendment of our Constitution, then contact your congressperson and ask them to remove the clause from the 2009 Highway Act. Of the 12,998 deaths involving a drunk driver, 10,792 deaths were the drunk driver or his passenger. implying that they were all blameless victims. 2,206 is 5% of all traffic fatalities. If any of the 2,206 were impaired is not recorded and who was at-fault is never discussed. We know that the NHTSA makes up BAC numbers for an average of 60% of the drivers using imputation (statistical probability), so the real numbers will be lower unless they guessed right 100% of the time. The government quietly admits that their figures are approximate and that alcohol impairment did not necessarily lead to the fatalities. MADD is now MADD, Inc. The new corporation was lucky enough to get $12,700,000 in government (taxpayer) money in 2004, without lobbying, since that would be an illegal activity for a non-profit organization. As we celebrate the freedoms guaranteed in our Constitution on July 4th, reality sets in. Where are you? A scene from East Berlin in 1970? Communism is washed up, but police checkpoints have migrated to a town near you. Welcome to the Brave New World. This box will contain news, commentary or recommendations on a changing basis. Attempts by government and special interest groups to influence our thinking is not a new phenomenon. In the 50's, we were convinced that there was a Communist under every bed just waiting to enslave us and our families. The Commie hysteria went on to justified the Vietnam war in the 60's. Think about words or phrases that make your blood boil. "Communist" has lost its magic, but how about "drunk driver"! Twenty-five years and hundreds of millions of dollars spent by our government, MADD and other anti-alcohol groups has rendered us unable to view every drunk driver as anyone other than a vile, child killer. Read any MADD press release. There is always a reference to a specific family member killed and the continued grieving of the mother or father. And with deliberate motivation the killer drunk driver morphs into any and all drinking drivers, who we are told are just as dangerous; statistics be damned. You can't help but feel sympathy and yearn for justice and/or revenge, but against whom? This social conditioning is similar to Pavlov's experiments with his dog. Ring the bell, offer Fido some food and watch him salivate. After a while, just the ringing of the bell causes the dog to salivate. Sound the alarm, mention a dead child and watch the public demand tougher laws against all drinking drivers. If he is a killer he should be severely punished, and today's laws ensure that he will be, unless he's a politician or policeman. Why is the same hatred not expressed toward a speeder or red light runner who kills someone? Because we have not yet been conditioned to hate these killers. Our laws even mandate lesser punishment if alcohol is not involved. What happens when the thought control groups reach their goal that it's not drunk drivers but all drinking drivers that are the scum of the earth? It used to be "Don't let friends drive drunk." Now it's "You drink, You drive, You lose." What does that mean? Is it illegal to drive after drinking? If you have a beer and get behind the wheel are you, in MADD's words, the same as a "drive-by shooter?" Say it on TV for 25 years and, the public subliminally gets the message. "It must be true, why would they lie?" 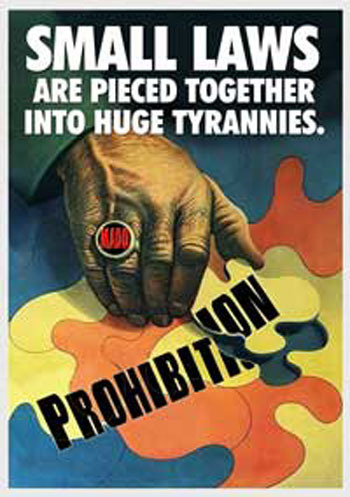 MADD is determined to convince us that Prohibition was a good thing, it was just done the wrong way. They are doing it through hysterical unverifiable claims that tens of thousands of innocent people are killed by drunk drivers each year. They are doing it by exploiting and highly publicizing only those tragedies that involve alcohol. They are doing it through media coverage that loves the sensational story and never checks the source or the verifiably phony statistics. And once we are all conditioned to their alarm bell, there will no longer even be a need for them to feed us their lies..
Gov't gives MADD, Inc the tools to mislead the public. 16,694 alcohol-related deaths! That's the government's number for 2004. 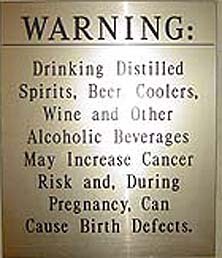 They imply that it is exact--sure looks like it is--but quietly admit it is just an estimate and they never freely define their vague term "alcohol-related." They also publish another estimated number: 12,874 as the number of deaths involving a drunk driver and then admit that there is nothing in either of these numbers to indicate that alcohol was the cause of these deaths. They admit none of their numbers are based solely on a computation of actual deaths and that their estimates are based on data that is, on average, 60% incomplete. They admit to age and gender profiling in deciding if alcohol was maybe involved in a traffic death. They admit prejudice toward people who own pick-up trucks and those who drive late at night in making their ASSumptions. They admit that no other civilized country uses their methods of imputation, profiling and guessing to come up with drunk driving statistics. Finally, they admit that their staggering numbers may be misused and misinterpreted by special interest groups. MADD Statistics Prohibition, DUI, Law Enforcement Money, Freedom, Laws, etc. 2,200 innocent victims of drunk drivers were killed in 2007. The other deaths were the drunk drivers, their willing passengers or drunk pedestrians. "It has become far more neo-prohibitionist than I ever wanted or envisioned," ---MADD's founder, Candy Lightner. 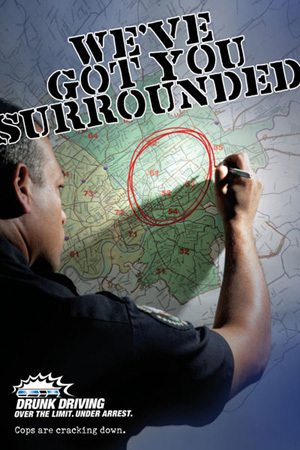 In 2006, MADD received $4,436,481 from arrestees who in MADD's words were 'forced' to sit in on their VIP panels. (More arrests=more money for MADD. Hmm). "How to Profit from Non-Profit". A Simple Chart for PA Are You a Drunk? GovMath explained Did You Know? Just a thought: Do you think the people who have lost loved ones to drunk drivers realize that they are merely pawns in promoting a Prohibitionist agenda? MADD is no longer fighting for stiffer penalties for drunk drivers who kill. They have already fought and won that battle. Instead, the highly publicized tragedies are being exploited by MADD to procure money and condemn alcohol consumption. The purpose of this site is to dispense information and stimulate thought. No legal advice or counseling is offered or implied. Alcohol, like government lies, can be deadly when not used responsibly. getMADD does not promote driving drunk or driving in any physical or mental state that endangers people's lives or safety. Any illegal uses of alcohol or any alcohol abusive practices are stupid and this web site does not advocate, support or condone those actions. We take no responsibility and assume no liability for any actions by the reader or damages caused by the reader. Please don't use any information on this web site to justify bad judgment, criminal acts, any other illegal activities or stupidity. Most of the quotes and statistics are from either reputable sources, MADD or government agencies. Inaccuracies and lies are highlighted or corrected. Our errors will also be corrected if more accurate information is discovered. None of the information is guaranteed from a legal point of view to be accurate. Occasionally getMADD will suggest changes to current laws, government policies and private organization's standards. Any reader's support or actions in reaction to getMadd's suggestions should only be attempted through legal channels and by legal methods. Links to other sites do not necessarily imply advocacy or agreement with everything on those sites. All of the information on this web site has been obtained from government sources, news articles and private organization literature. If you find any misquotes or if a source is not properly attributed, please send an email to: info@getmadd.com. This website is not a blog, so Email is only checked periodically. Comments & questions are appreciated. Responses are sometimes delayed. Screen is best viewed at 1280x1024 resolution. 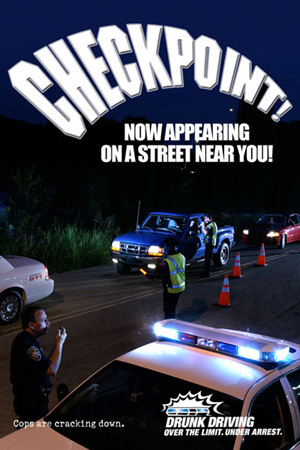 NHTSA and MADD proclaimed that 17,970* people were killed by drunk drivers in 2002. We said prove it! No one could. Now they've changed their statement to be less misleading. Click here for details on our historical $20,000 challenge!
. No, this is not a sobriety checkpoint. Possibly an alternative energy source.But that's another topic.